Homeostatic sleep drive is not the only factor that is involved in regulating the transition from wakefulness to sleep. If it were, napping throughout the day and night would likely be the norm rather than an exception. After just a few hours of sleep, we might nod off for an hour and then rise again, only to fall asleep just a few hours later. However, most of us remain awake and alert for 16 hours or more each day without a break. Our relatively steady state of alertness over the course of a 16-hour day is what the scientists refer to as the circadian alerting system, which is a function of our internal biological clock. The biological clock, which is responsible for regulating high number of daily cycles, is found in a relatively small number of neurons deep inside the brain. Under normal conditions, the clock is greatly synchronized to our sleep/wake cycle and when it is, the internal clock’s alerting signal increases with every hour of wakefulness, fighting against the sleep drive that is building up simultaneously. Once the internal clock’s alerting signal starts decreasing, the urge to sleep overcomes the opposing force and allows for the onset of sleep. In the first half of the night, your sleep drive is still significant and the alerting signal declines rapidly which under normal circumstances, means it is easy to maintain sleep. However, after about four hours of uninterrupted sleep the situation changes. Now that your sleep drive has reduced, the absence of an alerting signal is no longer sufficient to maintain sleep. At this point, the biological clock, which was responsible for promoting alertness during the day, begins to promote sleep by sending signals to parts of the brain that serve this function. 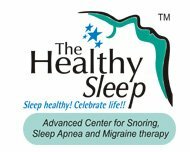 It is in this synchronized way that homeostatic sleep drive and the circadian system interact to provide consolidated periods of both alertness and sleep. Alertness varies with people over the course of a day. For example, the drowsiness that people often experience in the mid-afternoon, and commonly due to a heavy lunch or a boring meeting, is usually the result of a brief dip in the strength of the alerting signal. While sleep drive continues to increase, there is some time each afternoon during which the alerting signal fails to keep pace and as a result alertness takes a hit. Many people have incorporated this lull into their lives by making mid-afternoon siestas part of their daily routine. Another variation in alertness can be found at the end of the waking period, when the alerting signal is at its peak. Sleep specialists refer to the period from 8:00 p.m. to 9:00 p.m. as the “forbidden hour for sleep” because most people find it next to impossible to fall asleep during these times. It is obvious that synchronization of the biological clock and sleep wake schedule is essential for an individual’s ability to maintain sleep and wakefulness as and when desired. This has been documented conclusively in sleep studies and is supported by evidence from people who fly across different time zones and work night shifts. Both these activities disrupt sleep and wake patterns from the internal clock’s circadian rhythms and cause an alerting signal that is extremely low when an individual wishes to be awake and too high to allow for a consolidated sleep.